Attend one of the three Building for Life 12 training events in this years Kent Design programme to learn about the BfL 12 toolkit, including its history, how it works and how you can embed it into your everyday practice to improve design quality on the ground. The course introduces and explores the role and operation of the Building for Life toolkit, including the easy to use traffic light system, to quickly and easily assess design quality. 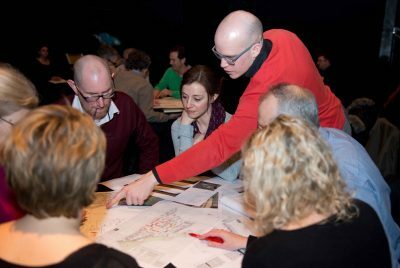 The toolkit allows development teams and planning authorities to identify and focus on elements of a scheme which are under performing, and how they could be improved. If you would like to attend, you can book online or Kent Design members can email kentdesign@designsoutheast.org for membership places.